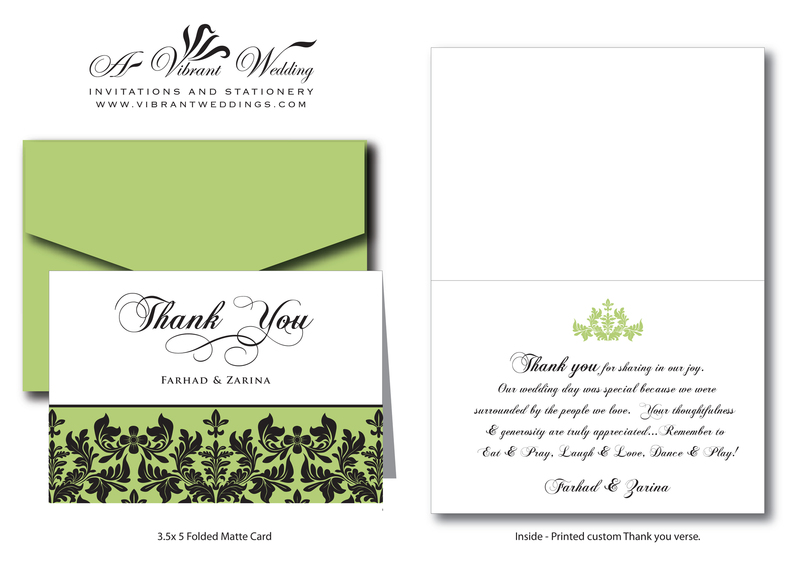 Order your custom Thank You Cards from A Vibrant Wedding! Writing your Thank You Cards for your wedding day is a MUST, be it can be can be daunting task when you have 100 of them! 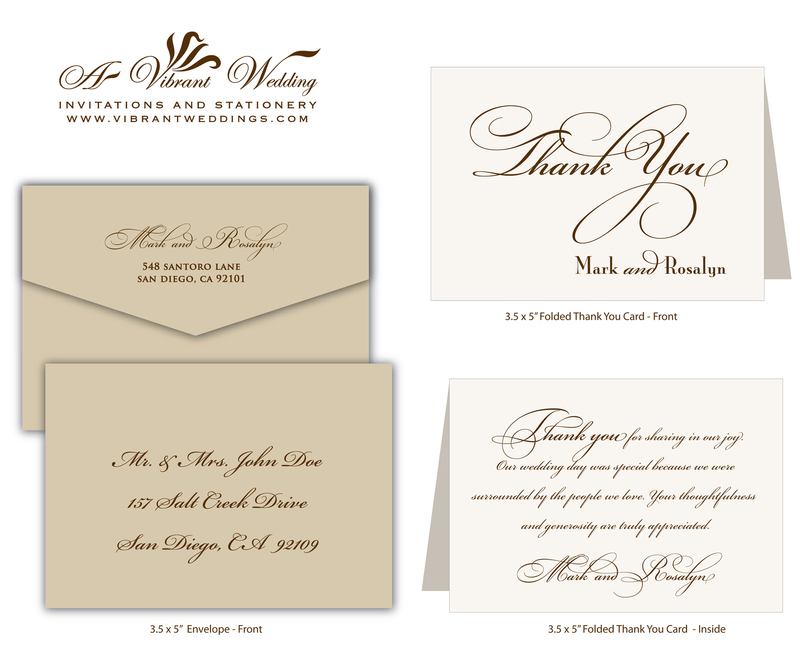 Choose from our creative “Thank You Wording” Blog category and have A Vibrant Wedding print them for you. 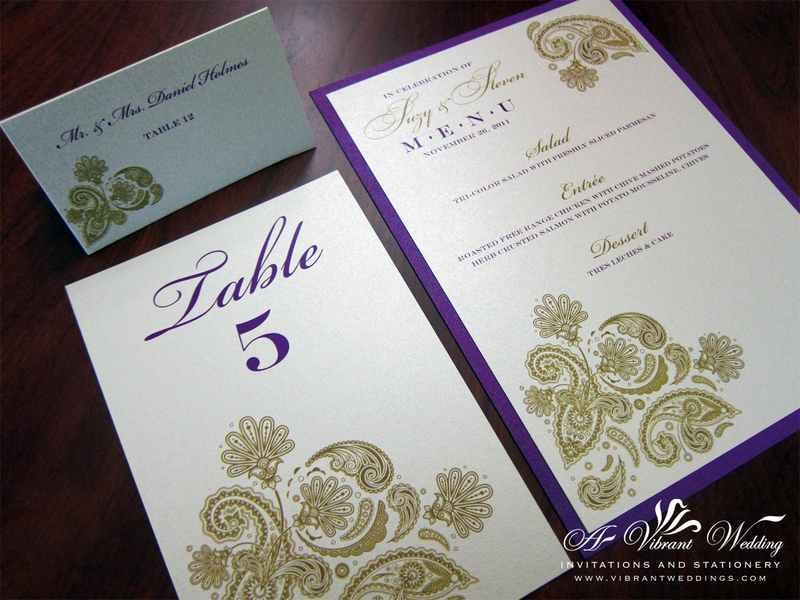 To view our extensive portfolio or to customize your own, please contact us at http://www.VibrantWeddings.com or (619) 852-6886. 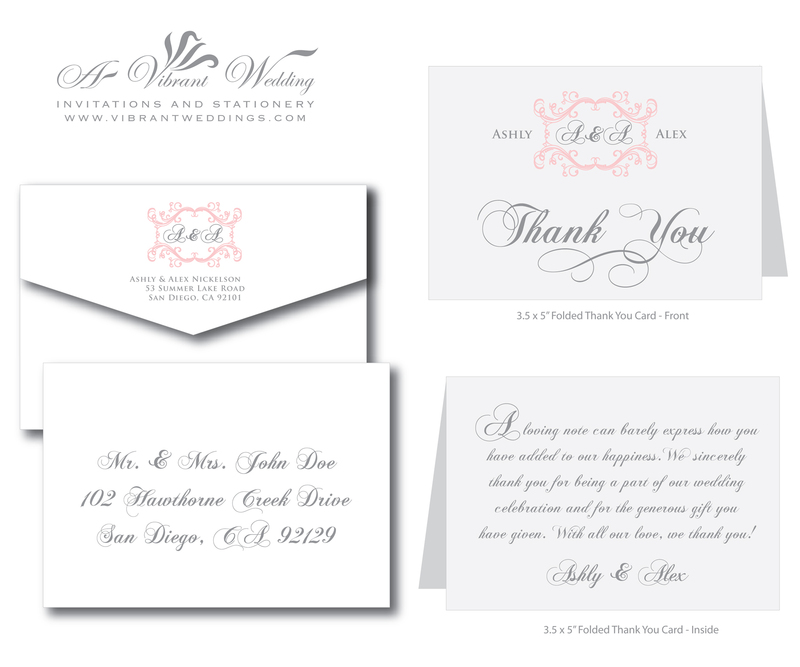 – $2.50/ 3.5X5″ Custom Thank You folded-card stock (blank inside) and a 3.5X5″ blank Envelope (all on matte paper). – $3.50/ 3.5X5″ Custom Thank You folded-card stock (blank inside) and a 3.5X5″ blank Envelope (all on metallic paper). Custom Thank You Cards, Folded 3.5×5″ with coordinating envelopes. Choose from over 250 cards stocks colors and envelopes. Writing your Thank You Cards for your wedding day is a MUST, be it can be can be daunting task when you have 100 of them! Choose from our creative Thank You verses below and have A Vibrant Wedding print them for you. To view our extensive portfolio or to customize your own, please contact us at http://www.VibrantWeddings.com or (619) 852-6886. 1. A loving note can barely express how you have added to our happiness. We would like to send our sincerest thanks for your thoughts, your prayers, your wonderful gifts & your presence in our lives. 2. Thank you to our Family and Friends, for celebrating our joy, supporting us and sharing our love. We sincerely thank you for being a part of our wedding celebration and for the generous gift you have given. With all our love, we thank you, Jennifer and John. 3. We were delighted to share the ceremony of our love and commitment. Let this be our destiny… To love, to live, to begin each new day together, to share our lives forever…You are my life, my love, my gift from God and I will always love you… Thank You. 4. True love stories never have endings. We just wanted to say THANK YOU for being part of a very special day for us. We hope you enjoyed the wedding as much as we did! 5. Our wedding would not have been complete, without the support and love of our family and friends. We sincerely thank you for celebrating our joy and for being a part of our lives! 6. Our wedding day was special because we were lucky enough to be surrounded by the people we love. Your thoughtfulness & generosity are truly appreciated. Thank you for sharing in the start of our new life together. 7. With sincere appreciation, we both send thanks for your lovely gift and your thoughtful wishes. 8. Words cannot express the joy that we feel remembering that you shared the beginning of our new life together. We would like to send our sincerest thanks for your love, your support, your wonderful gifts & your prayers in our lives. 9. “Gratitude – like love – lives and grows in our hearts.” You brought joy to our day, Warmth to our lives, and Happiness to our hearts. Thank you for your thoughtful gift! 10. Thank you for adding to the joyful spirit of our wedding with your presence and gift. 11. Thank you to our wonderful family and friends for your love, support, and generosity. Our wedding day was made so much more memorable because of your presence and your loving thoughts. 12. We would like to thank you for celebrating our joy and sharing our love. You will always be part of our fairy tale. Your generosity and kindness are sincerely appreciated. Dreams do come true. 13. We sincerely thank you for your love and support. We couldn’t be more blessed having friends and family like you in our lives and sharing in this beautiful time in our lives.